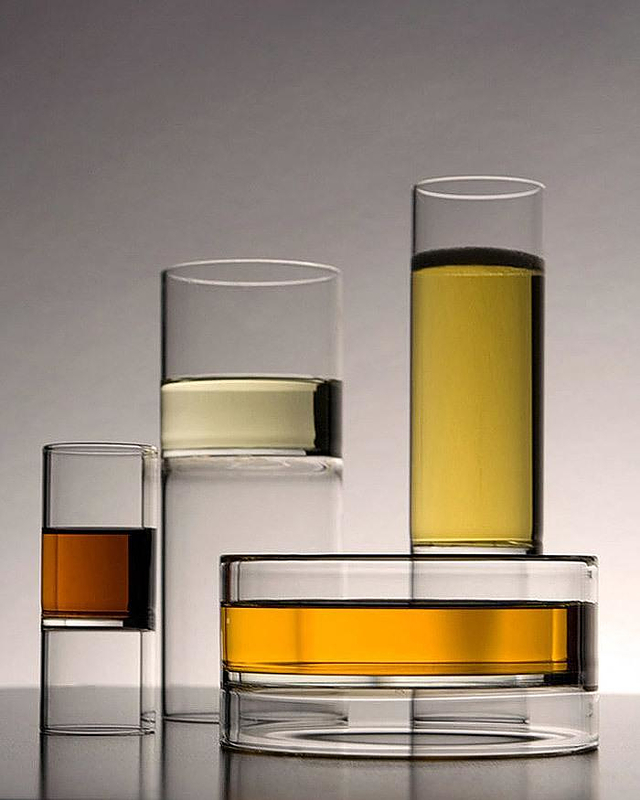 HomeBlogHome DecorRevolution Glassware by Fferrone Design. 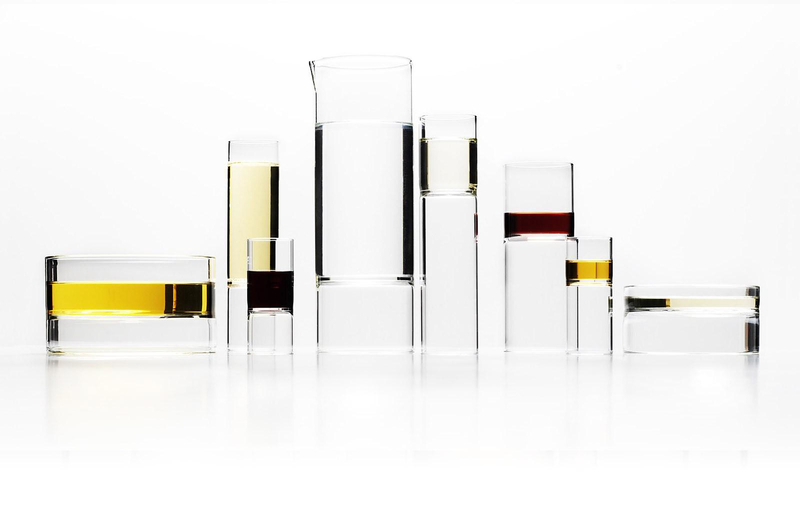 Strikingly simple in form, yet impressively elegant, the Revolution Glassware Collection by Fferrone Design seems to defy gravity and visually suspend its contents. 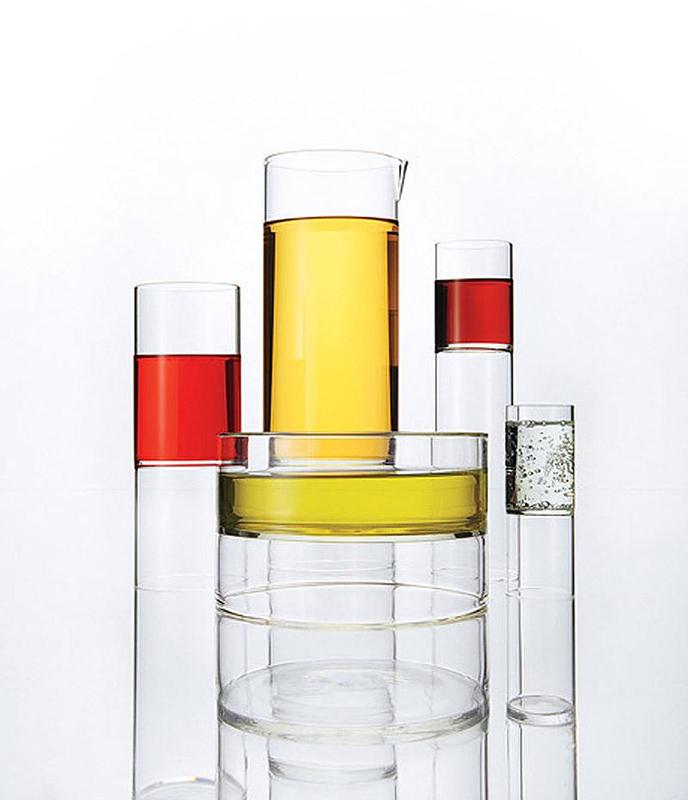 The Revolution Glassware Collection was designed by Chicago-based architect Felicia Ferrone. 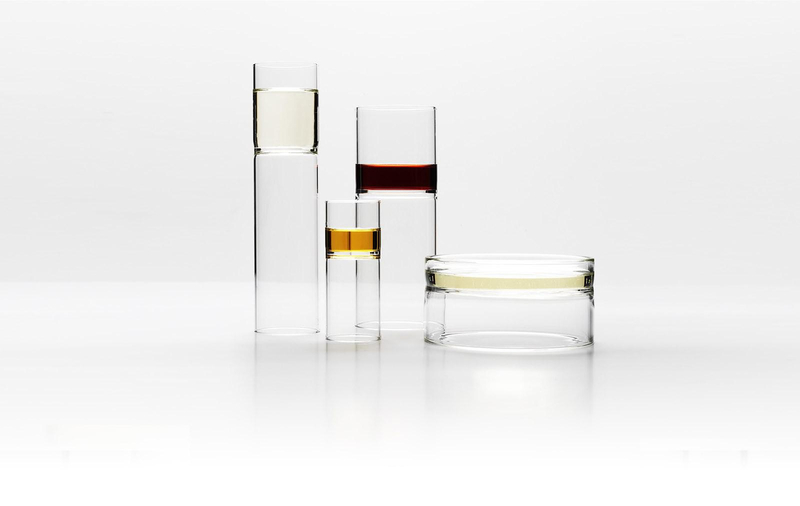 She designed the collection in 2001 while in Milan and initially the Revolution wine and water glass were licensed to the Italian manufacturer Covo. 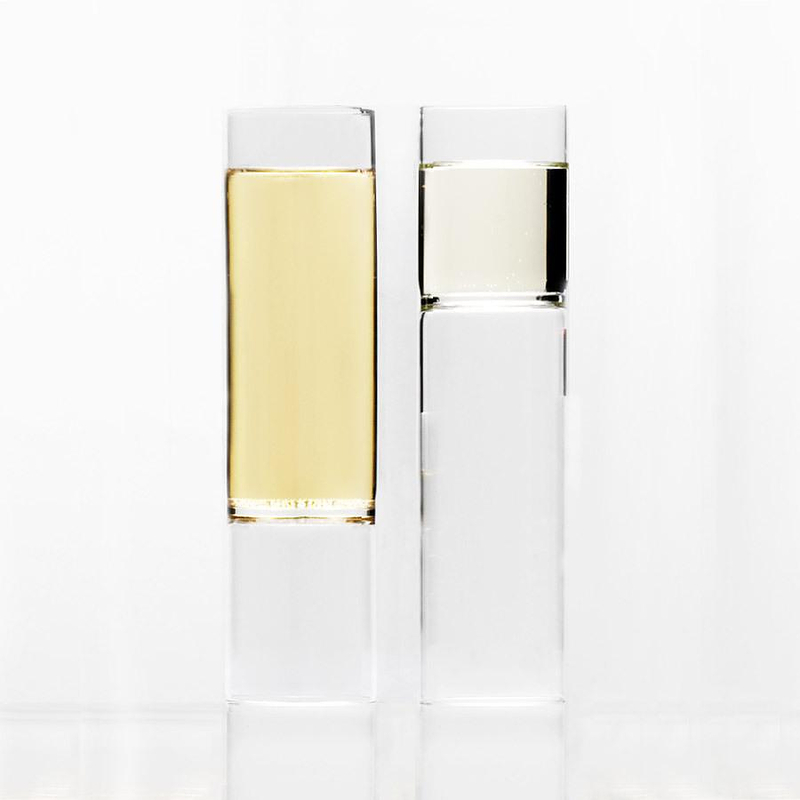 Revolution was inducted into the permanent design collection of the Art Institute of Chicago in 2009 and was also awarded the prestigious GOOD DESIGN Award in 2004. 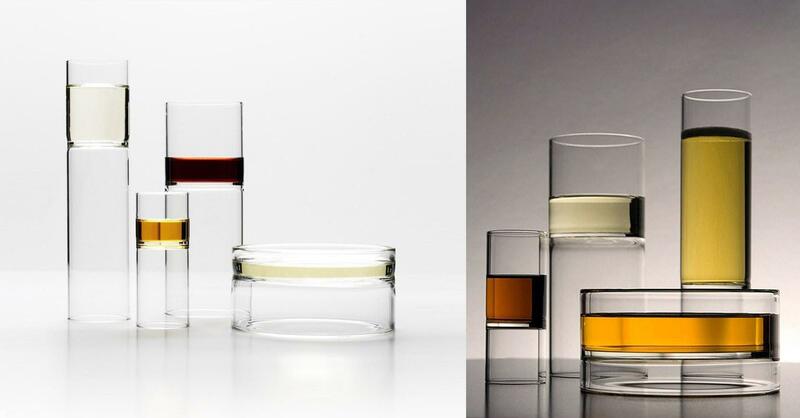 Essentially this unique concept (which reminds us a lot the Bauhaus approach to design) combines two glasses or bowls into one. 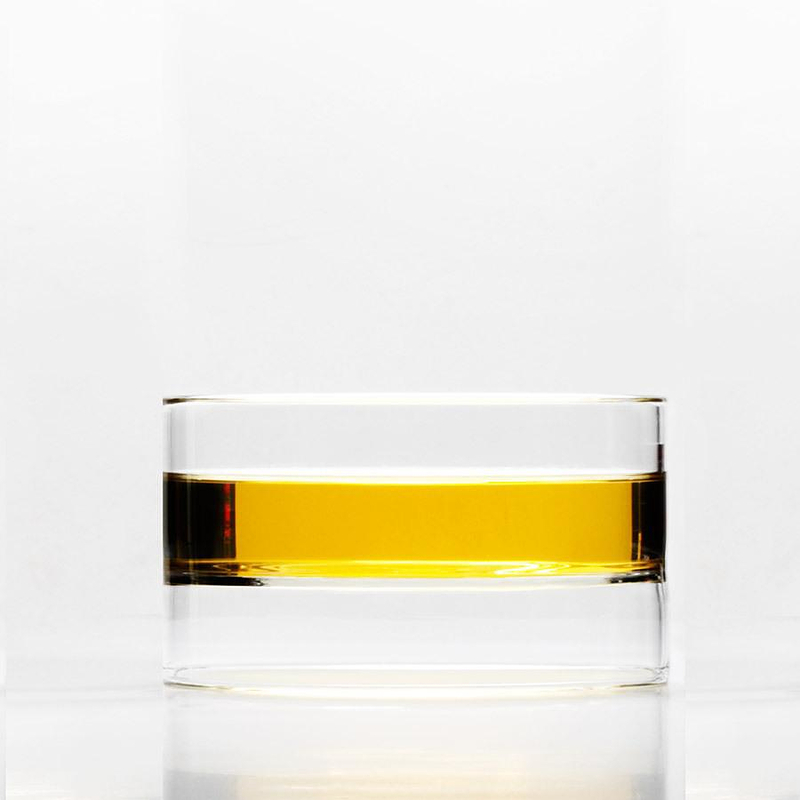 Revolution Glasses and bowls are double-sided, they can be flipped over and you immediately have a different kind of vessel with an alternate serving size. 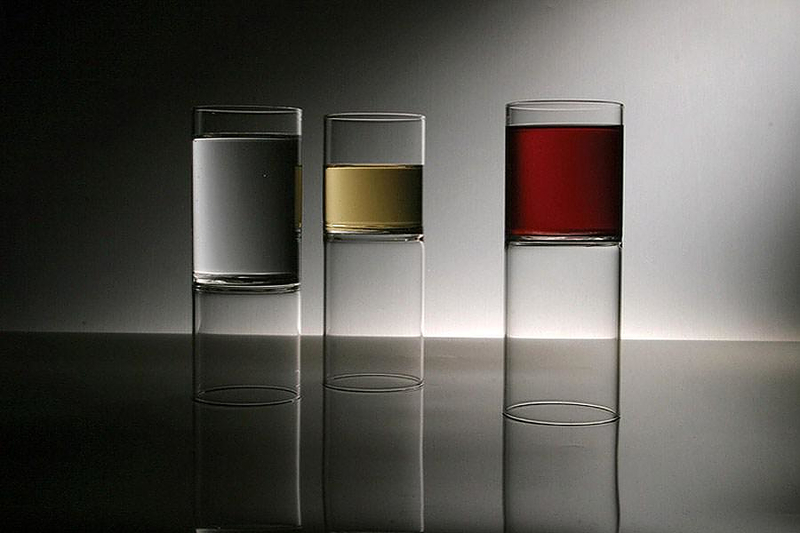 In addition the liquid contained within appears to float, for a stunning visual effect. 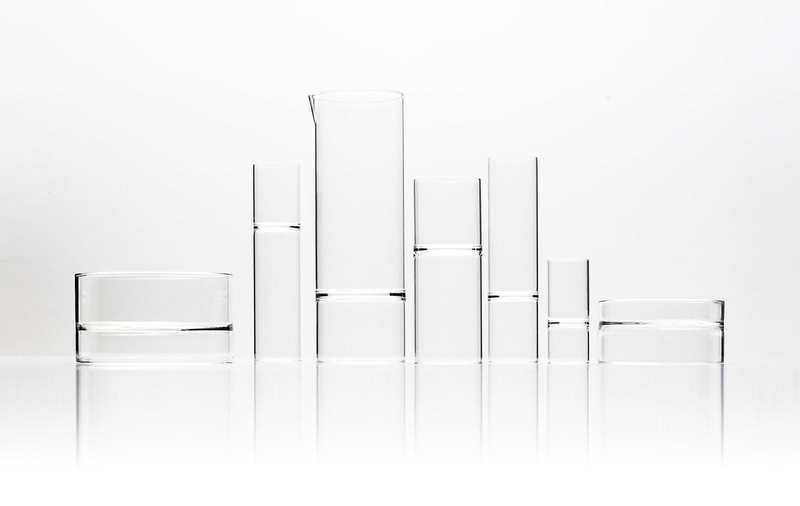 Revolution is a decisively elegant collection of glassware that is already considered a design classic due to its timelessly modern design. 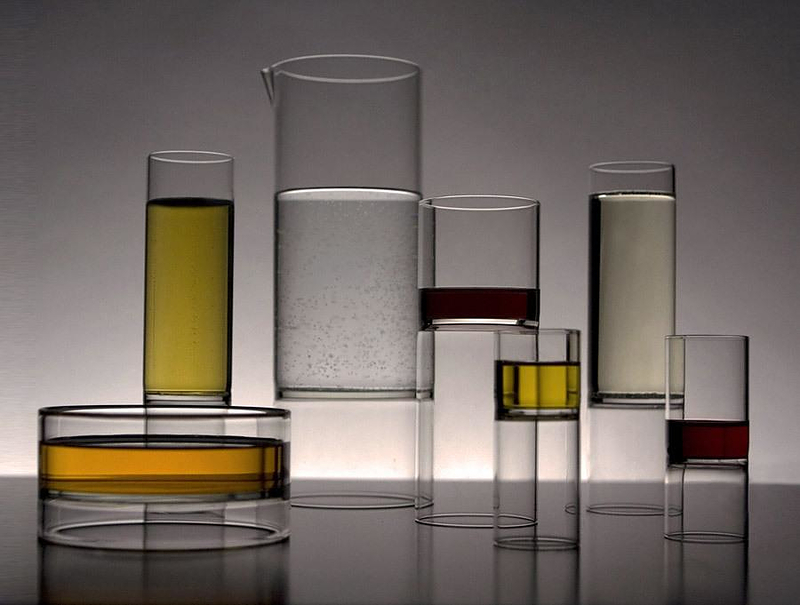 The Revolution Collection is handcrafted in the Czech Republic by master glassblowers, and formed from a pure extrusion of hand-blown borosilicate glass. This material provides a high degree of thermal resistance for a range of hot and cold applications, and is oven, microwave, freezer, and dishwasher safe. The Revolution Collection is distinctive in its thoughtful form, and innovative in its application of materials and skillful manufacturing. These attributes are fundamental to the design philosophy and approach of Fferrone Design, along with responsible sourcing of materials and production. 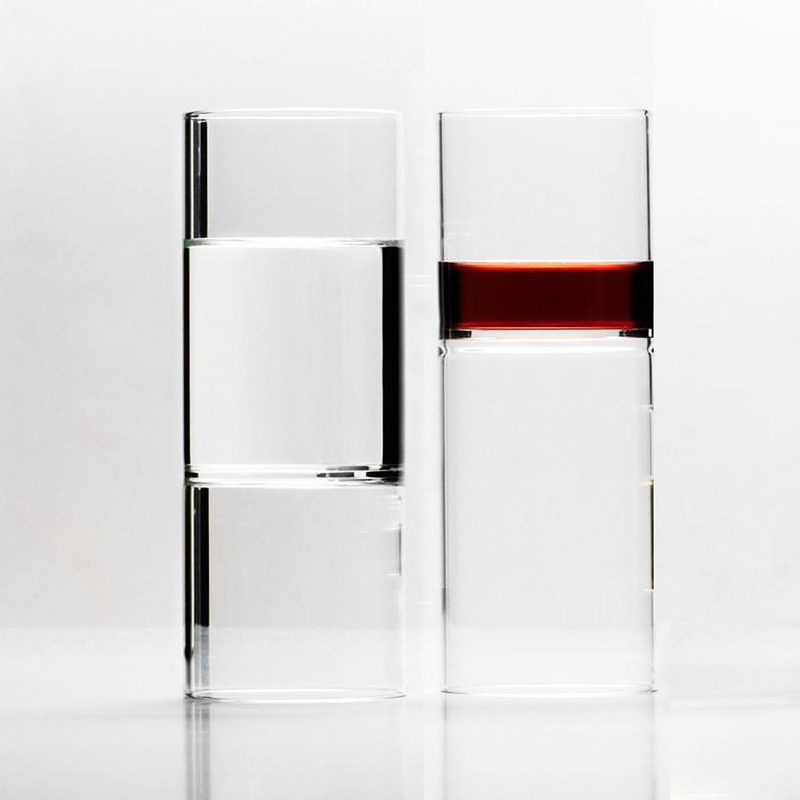 But most importantly Revolution Glassware will create an impressive illusion that their contents are suspended in air and defying gravity, be it water, wine, champagne, gelato, or soup. 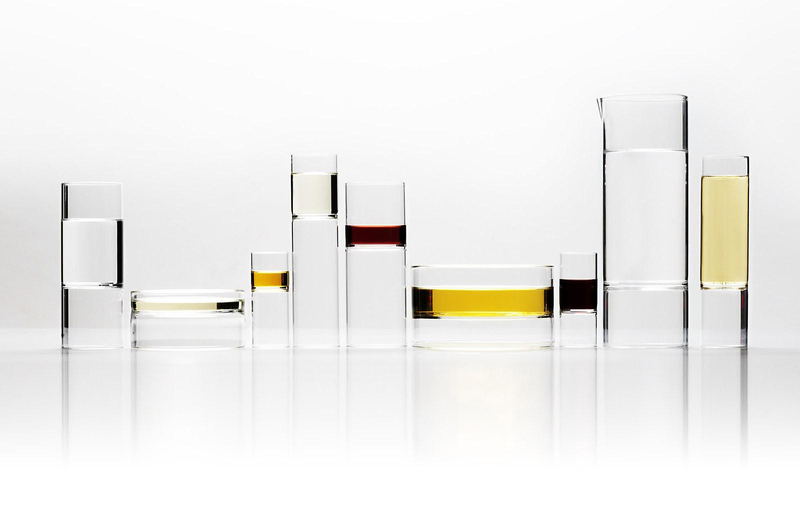 The current Revolution Glassware Collection includes the award-winning Revolution wine and water glass, a champagne flute, a liqueur glass, an impressive carafe and an awesome-looking bowl.